HG Logistics LLC, a third party logistics company and freight transportation broker in Cincinnati, Ohio, and our parent company, Hill and Griffith, started bringing in the Holiday Season early this year. On December 5, 2012, we had our Christmas Company get together. This year we opted for something different. 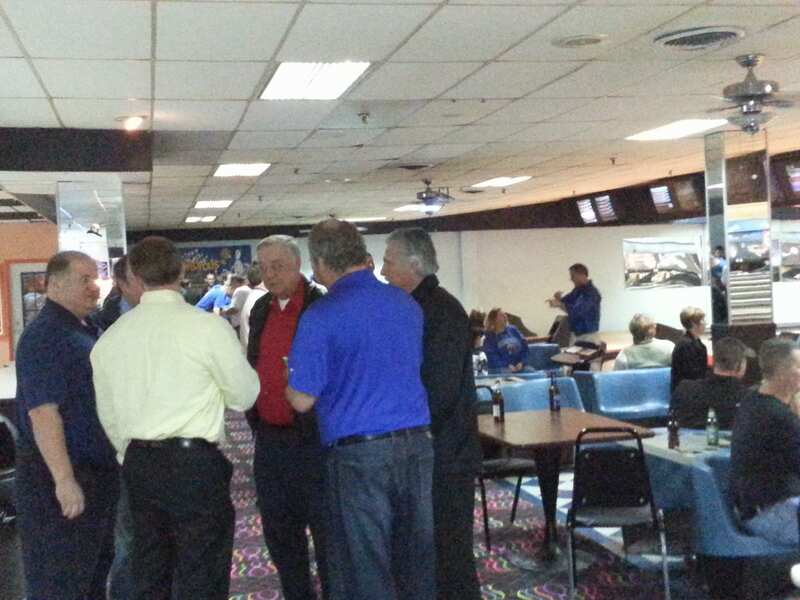 Instead of the traditional sit down dinner in a cozy, little restaurant, we went to a bowling alley. Yes, we went casual and it was a blast. In a rented party room at Super Bowl in Erlanger, Kentucky, we enjoyed a catered meal courtesy of Friday's. After stuffing ourselves with ribs, chicken, salmon, potatoes, salad, and vanilla bean cheesecake, we all spent a couple hours bowling together. Now, in my case, I attempted to bowl. I don't think what I did would necessarily be classified as bowling being that the object of the game is to knock the pins down and not hit the gutter. But in spite of my measly scores of 67, 80, and 89, I had a good time. It was fun sharing some laughs with fellow employees even if they were laughing at me. Seriously, it was a relaxing time, a fun-filled atmosphere. 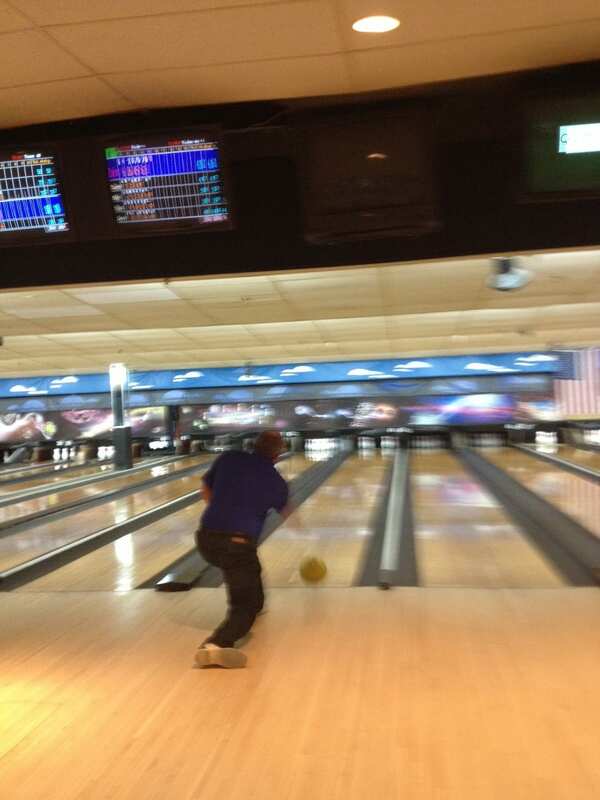 No one was out to become the next King of TV Bowling Champion. We were just there to enjoy each other's company. 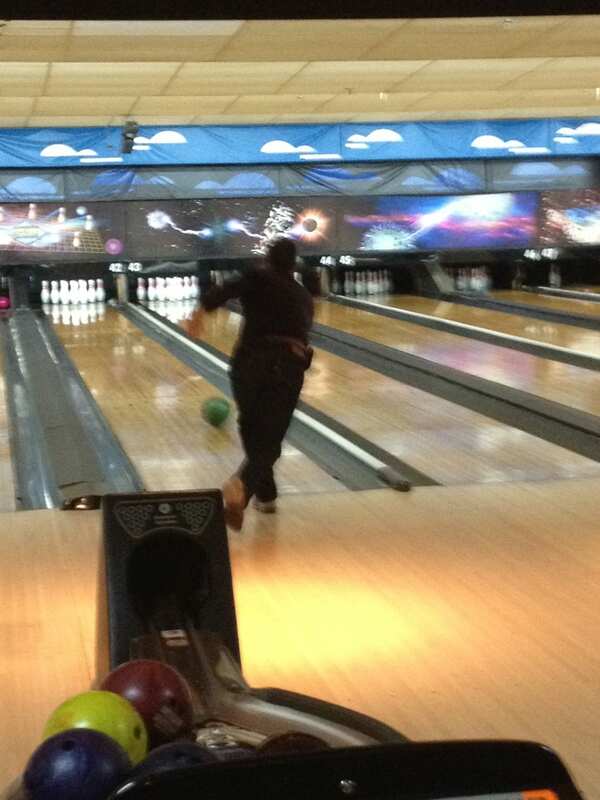 However, my husband did have to go and show off by bowling an impressive 257 in his last game. He had the highest score of the night and I would bet to say I had the lowest. By the end of the evening after a great meal, bowling, and door prize giveaways which included a flat screen TV won by our HR Manager, Sarah Dixon, I concluded with confidence that the Christmas Party was a success. And what I heard the next morning at work confirmed what I already knew. Everyone was buzzing about the party and how much fun they had. It was great to hear–music to my ears. On that note, I think I can speak for all who attended–Thank you Hill and Griffith, HG Logistics LLC, and all who organized this terrific event. We appreciate your generosity and the opportunity to have a “Merry Ole Time” this Holiday Season.